Russell Island was first settled by Hawaiians around 1886. 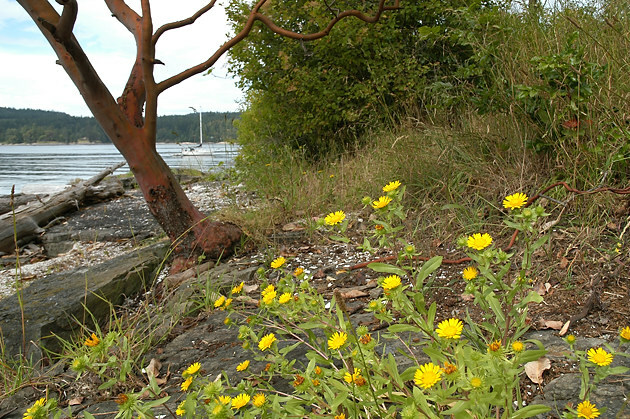 Located at the entrance to Salt Spring Island’s Fulford Harbour, Russell Island is a very photogenic spot with a rocky shoreline and a number of shell beaches. 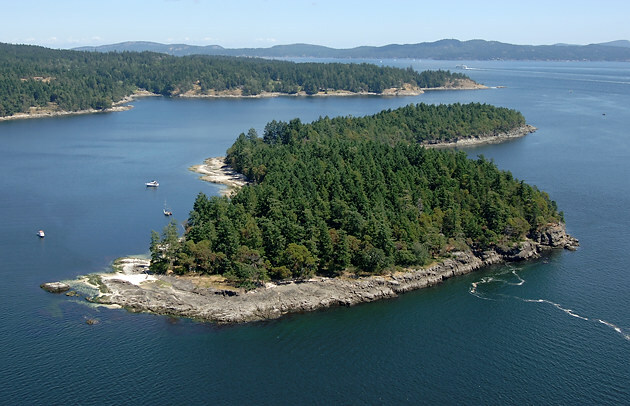 Douglas fir, arbutus and Garry oak forests cover the island, very typical of the Southern Gulf Islands landscape. Pine trees are growing in a number of areas on the coastline. During the spring spectacular displays of wildflowers may be viewed in the meadows. An old house on the island dates back over 100 years. Russell Island is accessed by water only and no overnight camping is allowed.